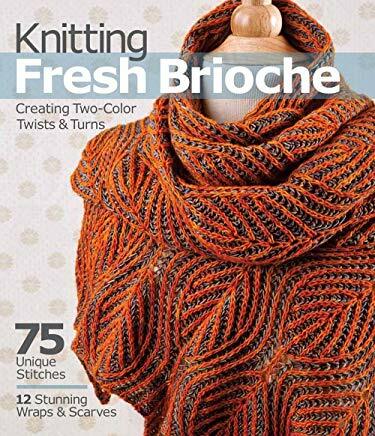 World-renowned brioche knitting expert Nancy Marchant takes this versatile European stitch—which creates a luxurious, reversible ribbed fabric—to a new level! In her groundbreaking collection, Marchant works brioche in two colors, forming graceful, undulating textures with increases and decreases. She explains everything from how to hold the yarn and cast on (offering multiple options) to creating the basic fabric and reading two-color charts. The stitch library presents 75 all-new patterns, and there are an additional 12 in luscious shawl and scarf projects.